The Olive Grows > Blog > Blog > Social Media for Food Business – Which Platform is Best? When it comes to social media, it is easy to see why so many people feel so intimidated. There is a wealth of information online today about how to rank highest on Facebook, how to beat the Instagram algorithm or how to boost your Twitter engagement. The jargon is never ending. You can take social media courses or hire social media consultants. All of which just creates the impression that if it’s not hard work, you’re not doing it right. This couldn’t be farther from the truth though. The vast majority of business don’t need to engage in complicated social media marketing strategies or hire social media managers. In fact, most business owners can run a vibrant social media presence themselves from their smartphones. One thing that does require a little bit of thought however, is which platform to use for your business. While most people think they’ve got to be active on every single platform in order to use social media well, this isn’t true. Choosing one platform and using it well can be more than enough for your food business to enjoy all of the benefits that social media has to offer. When it comes to your food business, it’s important to consider what exactly it is that you want to achieve. You’re looking for more customers right? You want to entice people to buy your food. And you want them to talk about it to their friends and family too, right? So, how are you going to do this? Humans are visual people. Even if a plate of food is the most delicious thing we’ve ever tasted, if it doesn’t look good we’re not likely to taste it, are we? As food professionals, we can’t show potential customers the taste of our food. We can only show them the visual. So, you know that images of your food are going to play a central role in your marketing plan. This is why Instagram is the social media platform of choice for food businesses. Instagram accounts have a grid pattern made up completely of images. This means that when a potential customer pops onto your Instagram account, they’ll be met with row after row of mouth watering images of food that they instantly want to taste. Other platforms such as Facebook and Twitter aren’t as visual and won’t have that same immediate sensory impact that Instagram does. They certainly have their own advantages and can be very useful, but when it comes to food businesses Instagram wins out every time. Setting up an Instagram account couldn’t be easier. In just a few short moments you can have your own business page and begin populating it with beautiful images of your finest food. If you need help taking the best possible pictures of your food, you should check out our blog post that shares 3 easy tips to do just that *XXXXXHEREXXXX. There are also thousands of great videos on Youtube which advise businesses on how to get the most from their Instagram accounts which you might find really helpful. In 2018, every successful business needs to have an active social media presence. 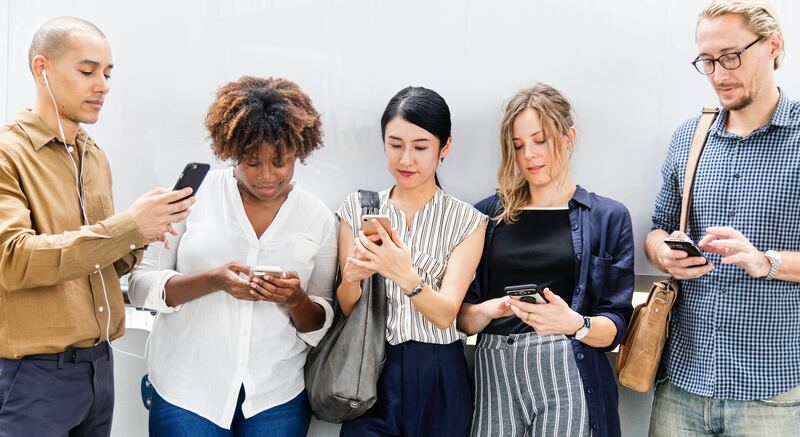 Not only does this help to reach new customers, keep current customers engaged, connect with other like-minded business and keep abreast of news and events in your industry, it also gives the impression of a modern business that is keeping up with the times. So many entrepreneurs resist this though. Some think that they don’t need to have social media accounts if their business is otherwise working well. Others worry that they don’t have the skills that they think are required to use social media platforms. An even bigger group simply think that it will be more trouble than it’s worth. Unfortunately, they’re all wrong. Any entrepreneur who is setting up a business today and chooses not to include social media in their marketing plan is making a huge mistake. Thankfully, this is happening less and less and new business owners are becoming increasingly aware of the importance of social media.